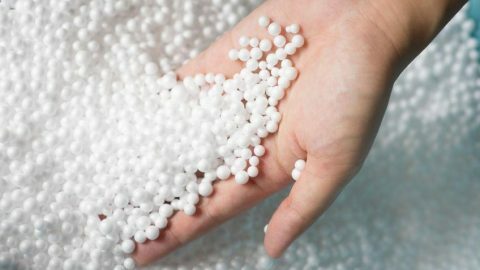 Pillow Filling Types Explained: What's Best for Me? Pillow Filling Types Explained: What’s Best for Me? Your pillow’s filling (sometimes also called stuffing or filler) defines its character. 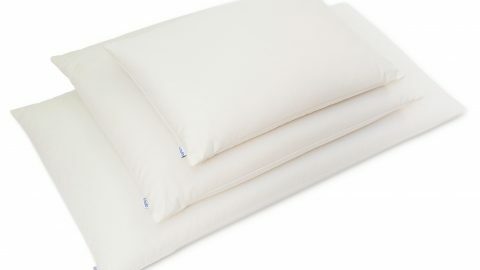 Depending on the type of pillow filling and the quantity used, your pillow can be totally unique and appropriate to your preferences: soft, firm, supportive, low or high loft. It’s your choice. Unfortunately no single pillow filling works for everyone. The best pillow filling varies depending on context. Each type has its own advantages and disadvantages and appeals to a unique audience of sleepy heads. What might work great for some could very well result in neck pain for others. Ultimately, it’s best to try different pillow filling types for yourself, but that’s a difficult proposition with the plentiful options available today. Following is summary that will help you understand the most popular pillow filling types and the advantages/disadvantages of each. The undercoating of a bird’s feathers is called down. 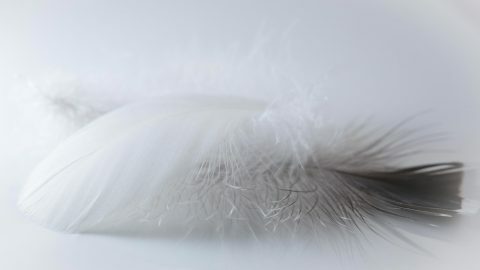 More specifically, it’s the bottom, fluffy part of a bird’s feather. Down holds its loft up to 3 times longer than synthetic alternatives and is very soft. Hungarian goose down (otherwise known as European white goose down) is considered to be the best quality. These down clusters are pure white and larger than most other types. A real down pillow contains down only — no feathers. Frequently “down” is sold as a combination of down and feather fill. While feathers are an economical way to add volume, often the feathers’ quills will stick through the pillow poking your pretty face (ouch!) while you sleep. Our friend Martha Stewart is fond of this type of pillow and suggests that you purchase only high-quality down fill due to its longevity. “I have pillows on my beds that are 10 to 15 years old,” Martha says. In the long run, good-quality down is the least-expensive way to go since it holds up better than synthetic stuffings, which generally wear out in three to four years. 15 years old? I think Martha must take really good care of her pillows! If you’re concerned about the well-being of animals, down comes at a considerable price. Down feathers are collected using one of three techniques: 1) post-mortem, after being killed for their meat, 2) live plucking or 3) gathering from live birds. Down pillow filling is available at Amazon. You’ll need around 1 lb. to fill a standard size (20×26″) pillow. Feathers are down’s cheap little brother. We recommend you avoid feathers and spend the extra money on real down. 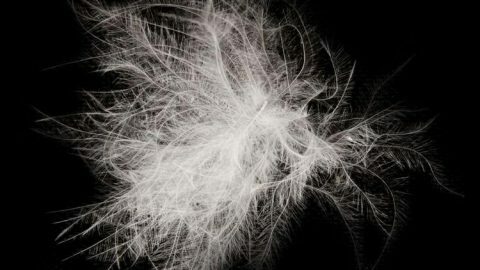 Unlike down, feathers’ quills naturally begin to align with each other or lay flat. Over time this makes the pillow become flat and uncomfortable. For this reason, manufacturers often add some down clusters to the feathers which slows degeneration. If the negative characteristics of feathers are acceptable and you’d like to save some cash by avoiding down, try this filling available at Amazon. You’ll need around 1 lb. to fill a standard size (20×26″) pillow. Polyester fiberfill, also referred to by it’s trademarked name, Poly-Fil is a popular option thanks to its low price. It’s lightweight, easy to clean and did I mention cheap? Fiberfill isn’t very breathable, so it can make your pillow fill warm; it will absorb and retain your body heat. Additionally, the fibers tend to clump which can quickly make your pillow feel flat and lumpy. Avoid polyester pillow filling unless you’re specifically looking for the most cost-effective option. Polyester fiberfill can be found at most big brick and mortar retailers like Walmart. This is currently Amazon’s best seller. You’ll need 1-2 lbs. to fill a standard size (20×26″) pillow. Memory foam is manufactured using polyurethane and several other chemicals. Because of this, it unfortunately often emits a strong chemical odor. This “off gassing” of volatile organic compounds is a common and well-documented issue. There are various reports and studies which indicate that memory foam may be somewhat toxic. Toxicity aside, memory foam pillow filling is pretty neat! If you’ve ever felt it, you know what I mean: It’s sort of magical the way it retains its shape. I suspect that it’s this “magic” that makes them so popular; people are immediately impressed with the way memory foam feels. Most mass-produced memory foam pillows consist of solid box-shaped loaf of memory foam. Some consumers swear by them. Personally I’ve never cared for them due to the off-gassing issue, but also because they’re not moldable… no matter how you squish or sculpt it, the memory foam moves back to its original rectangular shape. Because of this limitation, I prefer “shredded” memory foam. As the name implies, it’s memory foam that’s been torn into tiny pieces. 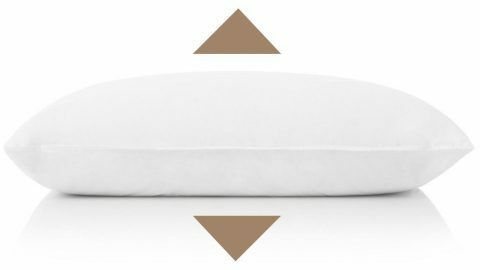 The individual pieces of foam move independently, allowing your pillow to be moldable. Shredded memory foam isn’t something your local retailer keeps on the shelves, but Amazon has several options available. You’ll need 2-3 lbs. to fill a standard size (20×26″) pillow. Read More: Is a Shredded Memory Foam Pillow Better? Buckwheat hulls are firm yet highly malleable and breathable, which makes them ideal pillow fill. Full disclosure: we sell buckwheat pillows. We love these things! We’ve tried a lot of different types of pillow filling, and we think nothing beats all-natural, old-fashioned buckwheat hulls. We started manufacturing buckwheat pillows because we thought they were simply the best. 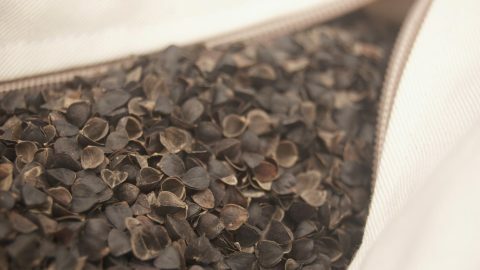 Hullo buckwheat hulls are available in 10 or 20 lb. boxes for $49 and $89. All orders ship for free. Read More: What Are the Benefits of a Buckwheat Pillow? Microbeads are also called “uniform polymer particles.” Microbeads are the synthetic alternative to buckwheat hulls. They share a lot of the same characteristics: they promote air flow and they’re malleable as well. Microbeads loose their volume and flatten out more quickly than other pillow filling types. I’ve never tried this product, but the manufacturer claims that these microbeads, available at Amazon last longer than other types. Latex pillows are becoming quite popular. They offer good support for your head and neck while retaining a soft feel. Like most memory foam pillows, the most popular latex pillows sold are solid box shaped pieces of latex that aren’t moldable. 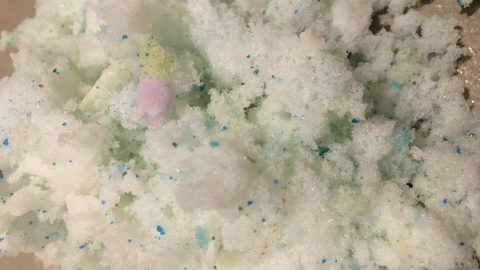 However, shredded latex pillow filling is moldable and malleable. Amazon has organic shredded latex foam in 5 lbs. bags. Kapok, or ceiba pentandra, is a tropical tree native to Mexico that flowers, producing a fluffy, cotton-like material containing hundreds of seeds. 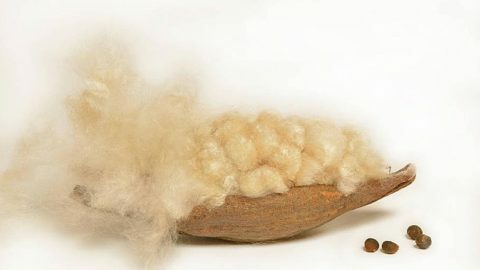 This light brown, soft fibre is sometimes called silk cotton. Its soft quality makes it a good alternative to down or polyester pillow fill. Kapok’s qualities made it a very popular for filling pillows, upholstery, and even life preservers. Kapok’s use dramatically declined upon the introduction of polyester/polyurethane foams, but it is currently experiencing a small revival thanks to its all-natural characteristics. Amazon has organic kapok. You’ll need about 1-2 lbs to fill a standard (20×26″) pillow. Read More: Kapok Pillow Review — A Comfortable and Safe Alternative? 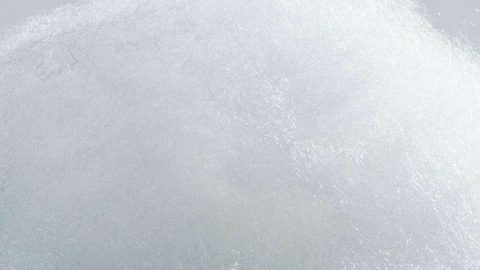 Wool’s breathable and insulative qualities make it uniquely suited for use in many different products. For thousands of years it’s been used extensively for diverse products including clothing, blankets, carpeting, insulation and upholstery. Wool however isn’t extensively used as pillow filling due to its tendency to clump into balls, making your pillow lumpy and inconsistent. Read More: Can a Wool Pillow Help You Sleep Better (Without Foul Odors)? Amazon has 1 LB bags of merino wool. About three pounds will adequately fill a standard size pillow. Cotton is soft and compressible although slightly more firm than traditional pillow filling like down or polyfill. 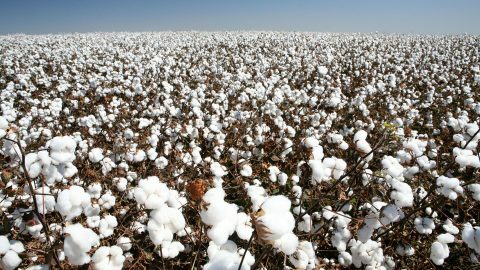 New synthetic materials such as memory foam have relegated cotton to a minority position as pillow filling. Read More: Is a Cotton Pillow Better than a Down Pillow? Amazon has organic cotton filling available by the pound. About three pounds will adequately fill a standard size pillow. Don’t box yourself in! Make your pillow adjustable! Adding more or less pillow filling will dramatically change the character of your pillow. Generally speaking, adding more filling will increase the loft of your pillow and make it feel more firm. Conversely, a reduction of pillow filling will result in a softer, thinner pillow. Determining the amount of filling to stuff in your pillow is almost as critical as picking the filling itself. After the filling has been chosen and stuffed into a fabric case, most bed pillows are immediately sewn shut. Once it’s been sewn shut, there’s no further opportunity for adjustment. Most commercially produced pillow don’t include a zippered opening; it is considered an unnecessary and expensive feature. If you’re making your own pillows, I highly recommend you include a zipper along one of the short edges. This will allow you to add or remove filling, making it easy to adjust the loft and relative firmness/softness to your personal preferences. * Amazon Affiliate Disclosure: Hulltex LLC (dba Hullo) is a participant in the Amazon Services LLC Associates Program, an affiliate advertising program designed to provide a means for sites to earn advertising fees by advertising and linking to amazon.com or myhabit.com. Our 10 and 20-pound bags of premium buckwheat hulls are grown and milled in the U.S.A.
16 Responses to Pillow Filling Types Explained: What’s Best for Me? Sure, adding more or less pillow filling will dramatically change the character of your pillow! What pillow material would you suggest be used for an infant? You probably already know this, but infants shouldn’t sleep with a pillow. If it’s supervised use outside of their crib during the day, any natural fiber (kapok, down, etc) will be great. Great article! To your last suggestion about not sewing a pillow shell closed, and instead sewing in a zipper, I found an easier idea for those of us who can sew but are too lazy (or who can’t sew at all). I bought some hypoallergenic, water resistant pillow covers from Amazon and am using them as pillow shells. The higher end ones are very nice and well suited. Also, for less dust-creating stuff, one can go with the cheaper covers. I’m using the shredded memory/latex foam fill (combo fill) in mine, so, I wanted to ensure better fabric. What say about egipatian giza cotton filling? 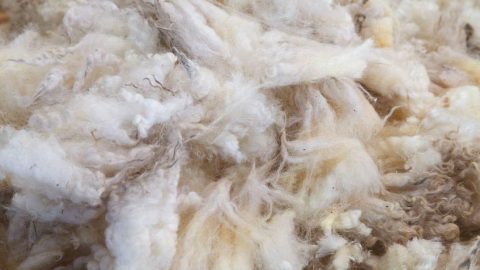 We’ve just updated the page with new sections on cotton and wool. Hi Isaura. Fair Point… We acknowledge that both wool and feathers are considered by many to be inhumane. I’ve seen the PETA videos that show terrible cruelty to both birds and sheep. We recently wrote another blog post about wool pillows in which we discuss the sad issues involved with wool production. That said, I’m not intimately familiar with all the evidence. I’m not sure if feathers are more or less humane than wool, but what is clear is that animals deserve more respect. Patagonia has a terrific approach to production of both down and wool products that I believe can genuinely be called humane. I’ve added bullets to both the feather and wool pillow entries labelling each consistently as animal products. To be clear, ALL the links on the page are affiliates (disclosure is just above these comments). We trying to be totally objective here, so thanks for the comment! Hi…hank you for the entertaining, short and sweet article on pillow fill. I also found the tip for a zipper cover very smart as I was about to sew up my first pillow. I was wondering if you know where to find 20×20 zippered encasing and /or larger. I can not seem to find encasings that aren’t either Standard, Queen, King sizes and/or the relative sizes between. I need to make my youngest a body pillow and a few fairly large throws…I have the decorative shams but I need to encasings for my fill. Amazon sells “pillow covers” or “pillow protectors”. These will work great for lightweight filling, but aren’t really suited for holding heavy fill like buckwheat. You can double them up if you’re determined to fill it with something heavy! Would you know where I could purchase an old-fashioned dacron pillow? They were nicely firm, not lumpy (because of the long fibers), and held their shape indefinitely. Today’s “dacron” is just some type of memory foam. You’d probably have to make your own. The only modern products I’ve seen manufactured with it are throw pillows, cushions for sofas, etc. I have bought new pillows which were 50 euros each. The filling states 100% polyster with silicone. I constantly wake up with a stuffed nose and a tickling sensation up my nose. I have been taking antihistamine tablets and using a nose spray. I have bought a dehumidifier and have been leaving to windows and door open for the air to circulate. Could it be the pillows? Why is there silicone in them. 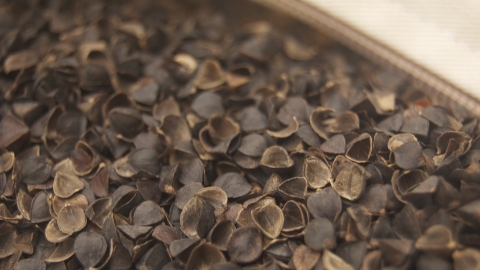 Bulk Buckwheat Hulls for Use in a Pillow: What's Best?